Rocsole is happy to announce a new, fully modular tomographic platform that can be applied to different applications and different shapes and sizes of mechanics. The key components of the tomographic platform are Rocsole’s multichannel high-speed electronics and Rocsole’s tomographic software. The platform is a result of years of development with our customers and with multiple applications on the field around the globe. The first sensors using this tomographic platform have been installed back in 2015 and currently the technology is fully proven on the field. The key benefits for the customers are that the technology is fully proven, even if there is a change in the mechanical dimensions or if the imaged media changes. Also doing new OEM measurement applications is easy, and with a fast delivery time. 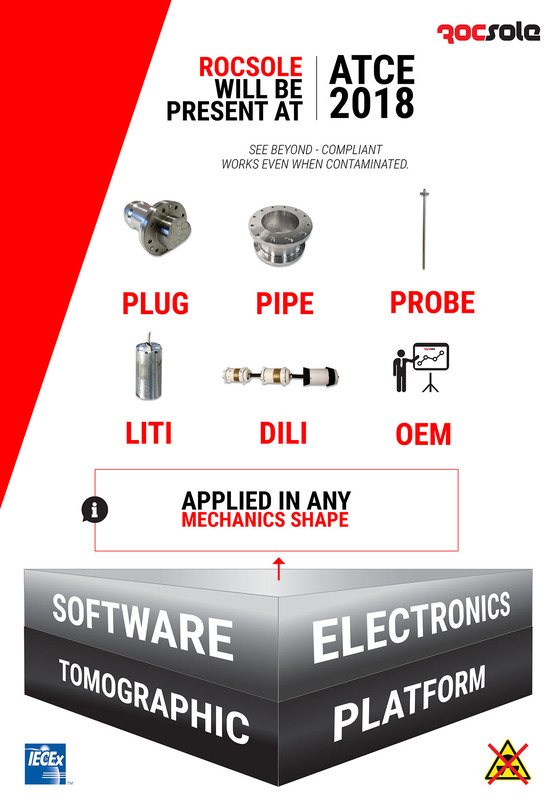 Currently this tomographic platform is utilized in all types of Rocsole’s fixed sensors (PLUG, PIPE, PROBE) and in our DILI and LITI services as well. Furthermore, it will be applied to all the upcoming OEM products made for Rocsole’s customers. See you at ATCE 2018, held in Dallas TX, 24-26 September! Remember to drop by Rocsole's booth #2708!